Kevin Bankston is the director of New America’s Open Technology Institute, where he works in the public interest to ensure that all communities have equitable access to an internet that is both open and secure. He previously served as OTI's policy director. 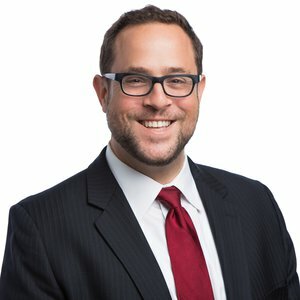 Prior to leading OTI’s policy team, Bankston was a senior counsel and the director of the Free Expression Project at the Center for Democracy & Technology, a Washington, D.C.-based non-profit organization dedicated to promoting democratic values and constitutional liberties in the digital age. From that position, he spent two years advocating on a wide range of internet and technology policy issues both international and domestic, most recently organizing a broad coalition of companies and civil society organizations to demand greater transparency around the U.S. government’s surveillance practices. He also has served since 2005 on the board of the First Amendment Coalition, a non-profit public interest organization dedicated to advancing free speech and a more open and accountable government, and previously was a nonresidential fellow at the Stanford Law School’s Center for Internet & Society. Prior to joining CDT, he worked for nearly a decade at the Electronic Frontier Foundation, specializing in free speech and privacy law with a focus on government surveillance, internet privacy, and location privacy. As a senior staff attorney at EFF, he regularly litigated issues surrounding free expression and electronic surveillance, and was a lead counsel in EFF’s lawsuits against the National Security Agency and AT&T, challenging the legality of the NSA warrantless wiretapping program first revealed in 2005. He originally joined EFF as an Equal Justice Works/Bruce J. Ennis First Amendment Fellow, studying the impact of post-9/11 anti-terrorism surveillance initiatives on online privacy and free expression. Before joining EFF, he litigated internet-related free speech cases at the national office of the American Civil Liberties Union in New York City as a Justice William Brennan First Amendment Fellow. He received his JD at the University of Southern California Law School after receiving his BA at the University of Texas at Austin.